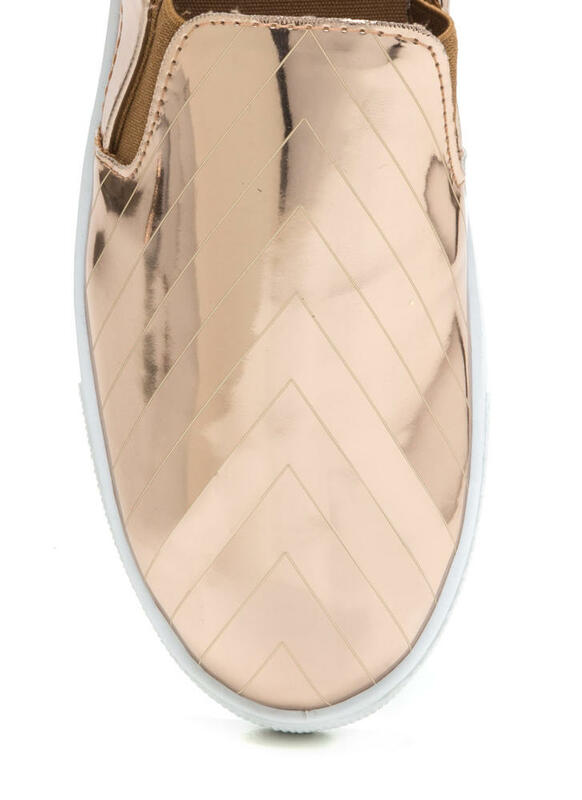 Add some daytime glam to your #OOTD with these light-catching sneakers! 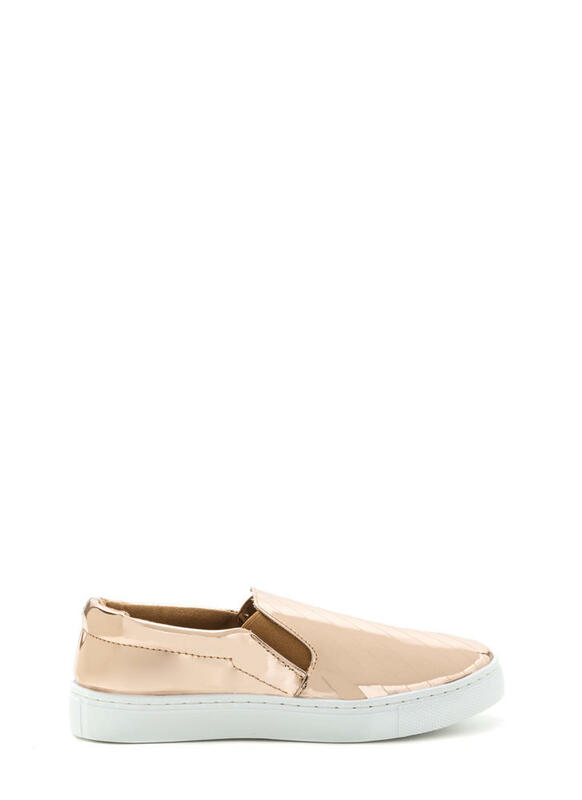 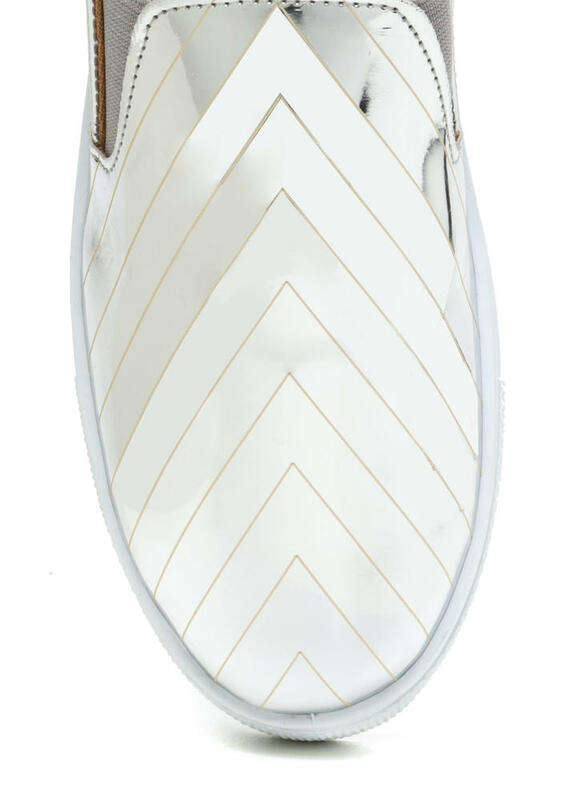 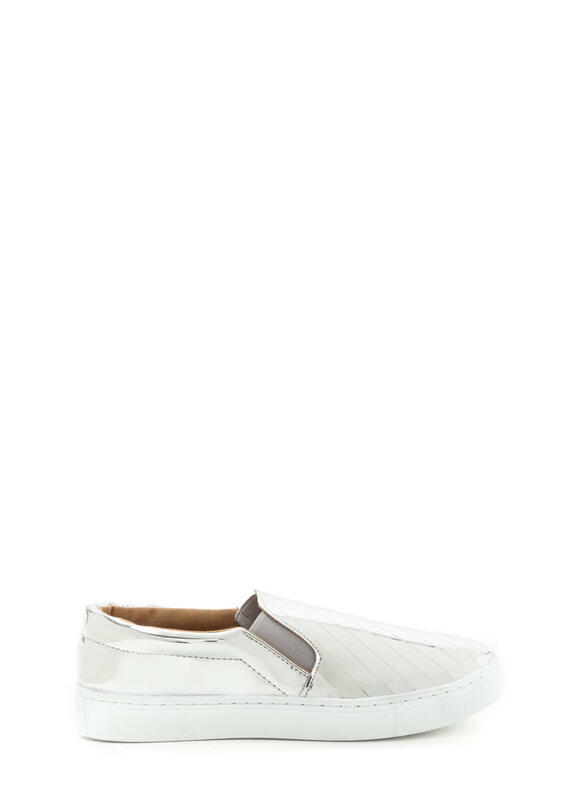 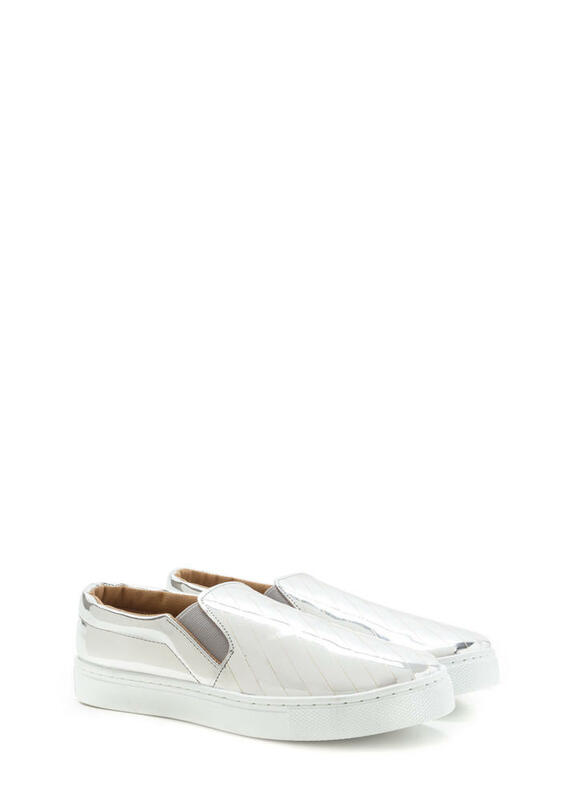 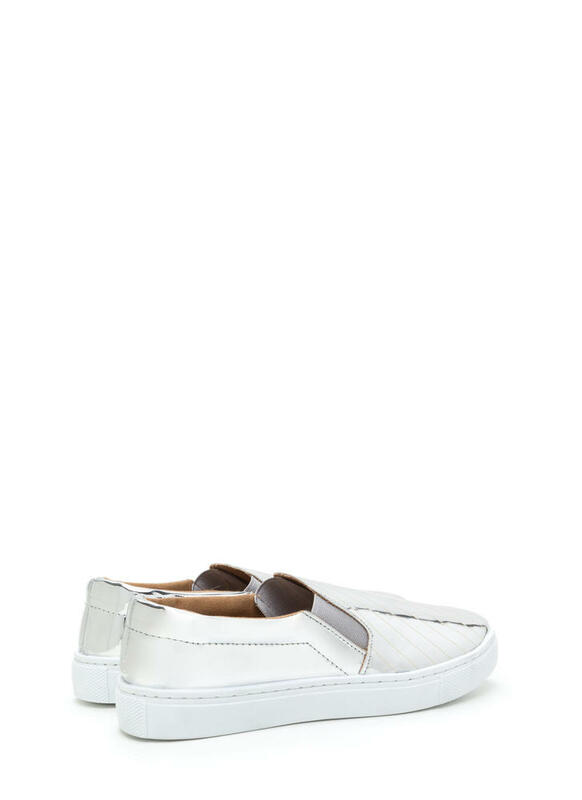 Slip-on sneakers feature a shiny metallic upper accented with tonal stripes in a chevron design. 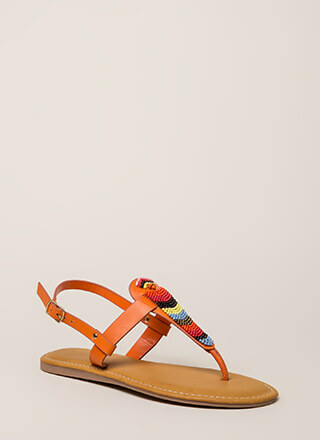 Finished with elastic gussets and a ridged sole.